The report can be selected here. 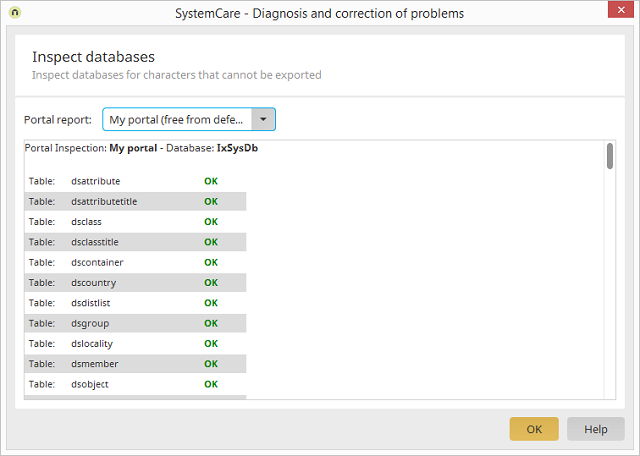 All database tables of the checked portal will be listed here. If characters are found in a table that cannot be exported, they will be shown formatted in red under the table name.